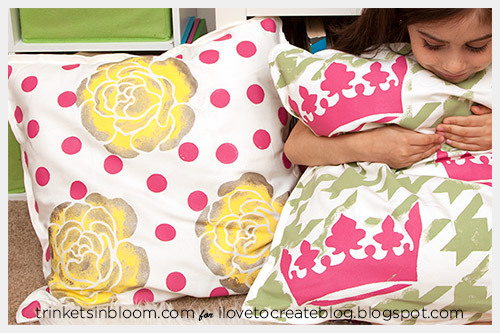 Create fun throw pillows in a snap with these awesome stencils! 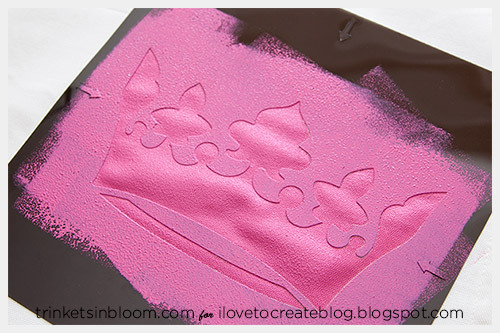 While I don’t normally DIY a lot of things that aren’t wearable, I have to admit that with how easy and nearly foolproof these stencils are, it’s easy to get inspired to start stenciling everything! I made these big pillow’s for my daughters room but now I’m thinking that I could make some cute ones (cause you can never have enough pillows!) 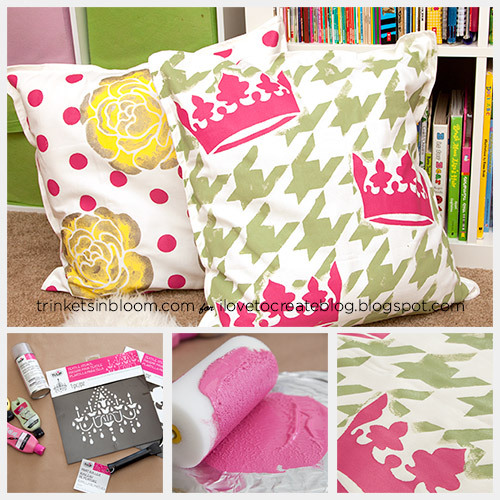 for the balcony and the couch and… By combining the Tulip Textile Stencils with the Tulip Stencil Spray Adhesive it’s so easy to get super clean lines and great images! Click through and let’s get started! Work in a very well ventilated area or outside if possible. 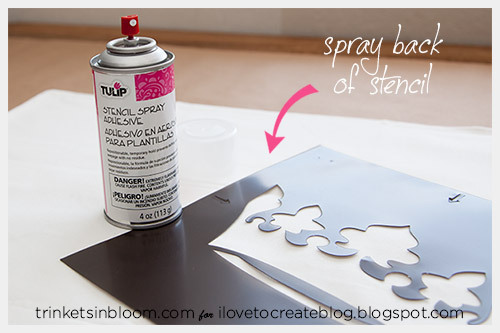 Spray the backside (the matte side) of the stencils with the Tulip Stencil Spray Adhesive. The best part about this spray adhesive is that you can peel it off and re-stick it many times! 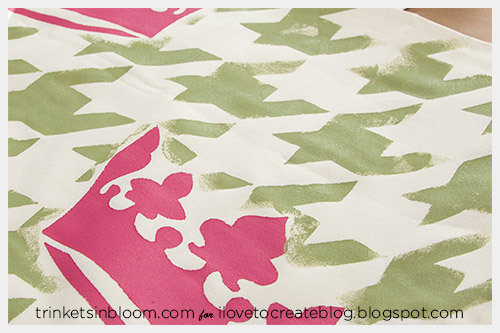 Lay your pillow cover out flat and position your stencil where you want it. 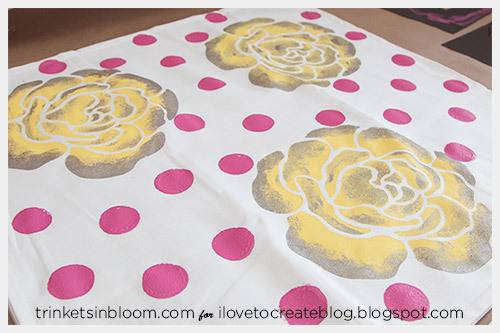 For stencils with larger open areas the Tulip Paint Roller works really well. I have to admit I wasn’t sure I wanted to use it, I’m usually more of a pouncer/brush girl but this paint roller works really well for the stencils, if fact it’s awesome! 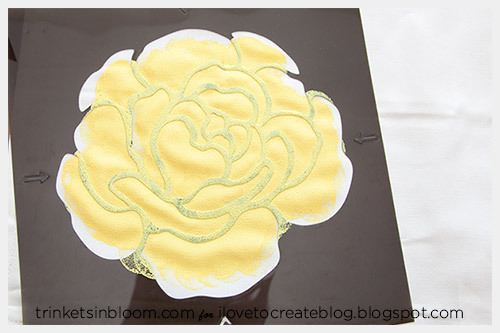 Use a pallet (I covered a piece of cardboard with foil) and add your paint. 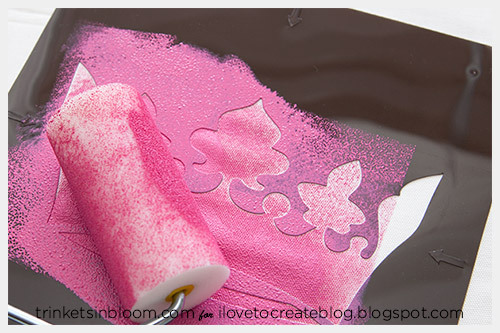 Use it just like any paint roller, roll it in the paint and then over your stencil. Depending on the color of paint you use and your pillow cover color, you may want to paint more than one coat. 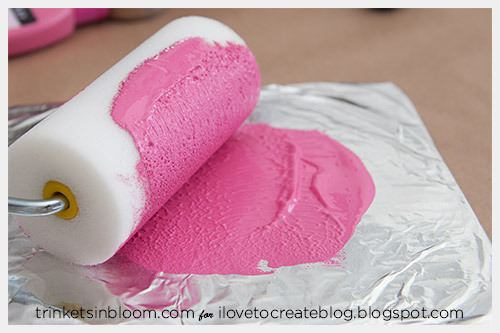 Be sure to let your paint dry between coats. If you get the coverage you want after one coat, you can peel off your stencil and reposition it somewhere else to paint. I did this without a problem while the paint was wet. You can also create a two tone effect by only stenciling in part of your design and then going back and adding a second color on top. 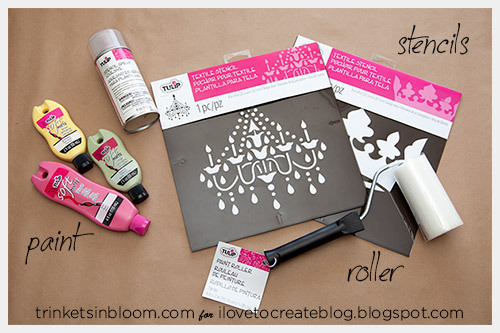 If you are going to layer your stencils be sure to let your paint dry between stencils. For this one with the crowns I added the houndstooth over the top using the pouncer to create a distressed effect. 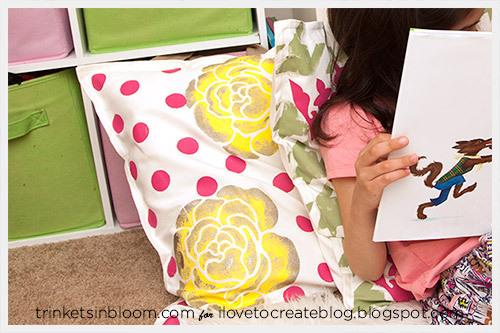 You can also use your pouncers to create some fun polka dots! Until next time you can see more fashion DIY’s on my blog and follow me on Instagram, Facebook, Twitter and Pinterest! Looks so easy! I'll have to try it.